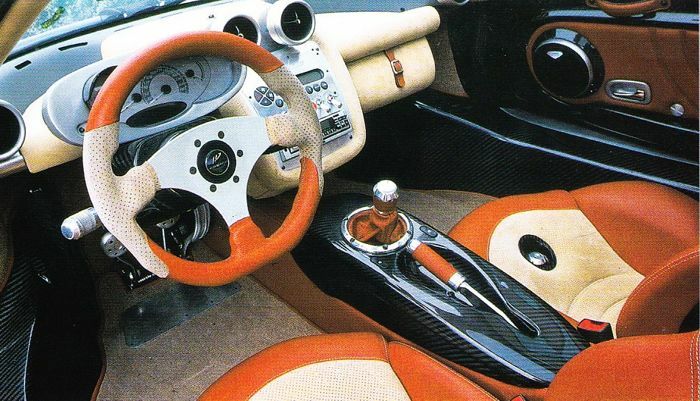 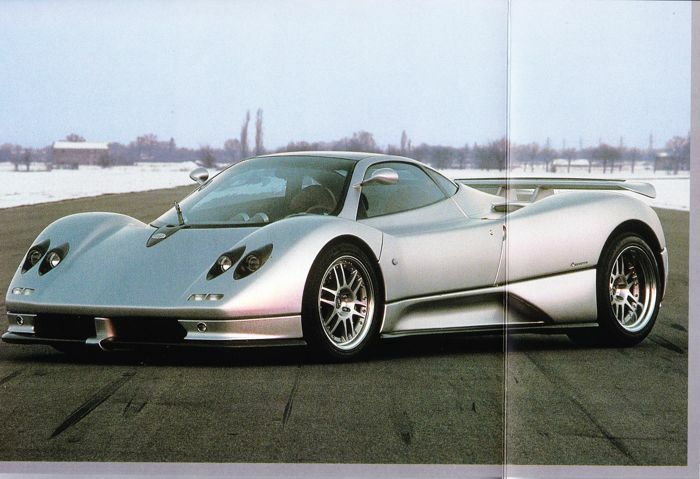 Somewhat older original 4-page thick catalogue of the Pagani Zonda C12. 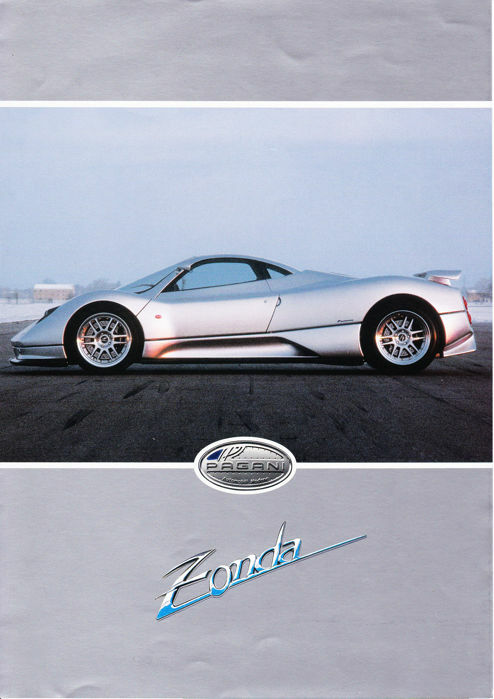 This somewhat older brochure is undated but shows the first model so it probably dates from 1999/2000. 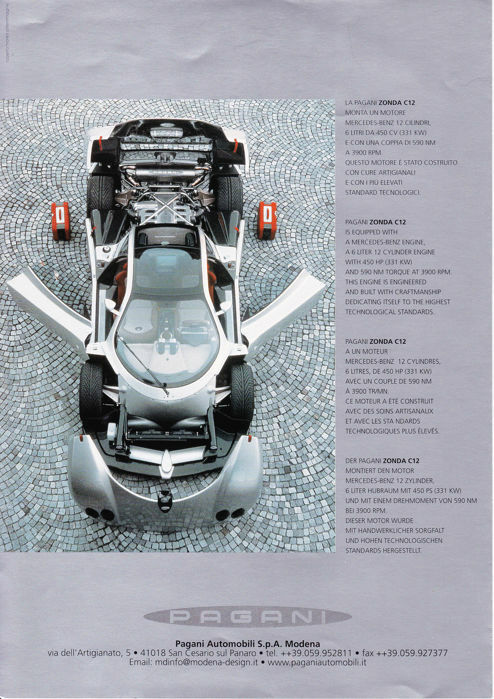 Catalogue partly in two languages, partly in four languages.